Earlier this month, we told you about a new Asus device ASUS_X015D getting the TENAA approval in China with images and full specifications listed. The device was later on rumored to be the Asus Zenfone Go 2 smartphone but we are still not sure if that one is the Zenfone Go 2 smartphone. Asus Computex 2017 event in Taipei is scheduled for today and we might see more details about the device today. Another device from Asus with code name ASUS_X00KD has just been spotted listed at TENAA with similar design like the ASUS_X015D but has different specifications and it also features a dual rear camera. Let's checkout the specifications and images of this new device from TENAA listing. The ASUS_X00KD is listed at TENAA with a 5-inch HD TFT display with 1280 x 720 pixels resolution and is powered by a 1.25 GHz quad-core processor which might be a Snapdragon processor but we are still sure which one it will be. It comes with 2GB and 3GB RAM options and comes with 16GB and 32GB inbuilt storage options with both supporting expandable storage capacity up to 2TB with the help of a microSD card. It runs on the Android 7.0 (Nougat) OS out of the box and is expected to support Dual-SIMs in select markets at the time of its launch. It features a dual rear camera with 13-megapixel + 8-megapixel lenses with a LED flash and also comes with a 5-megapixel front-facing camera. It is backed up by a 4020mAh battery and supports 4G VoLTE, WiFi 802.11 b/g/n, Bluetooth 4.0, GPS and other connectivity options. A fingerprint sensor is available on the physical home button on front. It measures 144.26×71.26×9.1 mm and weights 160 grams. Color options includes Black and mocha gold. The device also comes with Gravity sensor, distance sensor and a light sensor. 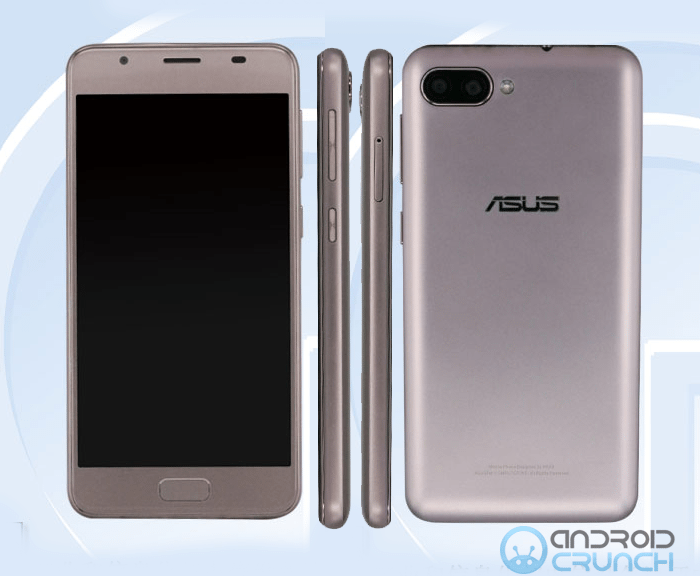 The Asus_X015D was spotted listed at TENAA with a 5.5-inch HD IPS display with 1280 x 720 pixels resolution, a 1.5 GHz octa-core processor, 3GB and 4GB RAM options, 32GB and 64GB internal storage options, expandable storage capacity up to 32GB with microSD card, Android 7.0 (Nougat) OS, Dual-SIMs support, a 13-megapixel dual camera with LED flash, a 5-megapixel front-facing camera, a 4850mAh battery and supports 4G VoLTE, WiFi 802.11 b/g/n, Bluetooth 4.0, GPS and other connectivity options. A fingerprint sensor is available on the physical home button on front. it measures 154.5 x 76.6 x 8.85 mm and weights 175 grams. Color options includes Black, mocha gold and Grey.